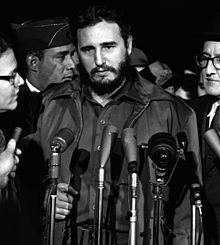 ↑ "Cuba's Fidel Castro dies aged 90". BBC News. November 26, 2016. 喺November 25, 2016搵到. ↑ Zabludovsky, Karla (November 26, 2016). "Fidel Castro, Longtime Cuban Leader, Dead At Age 90". BuzzFeed. 喺November 25, 2016搵到.